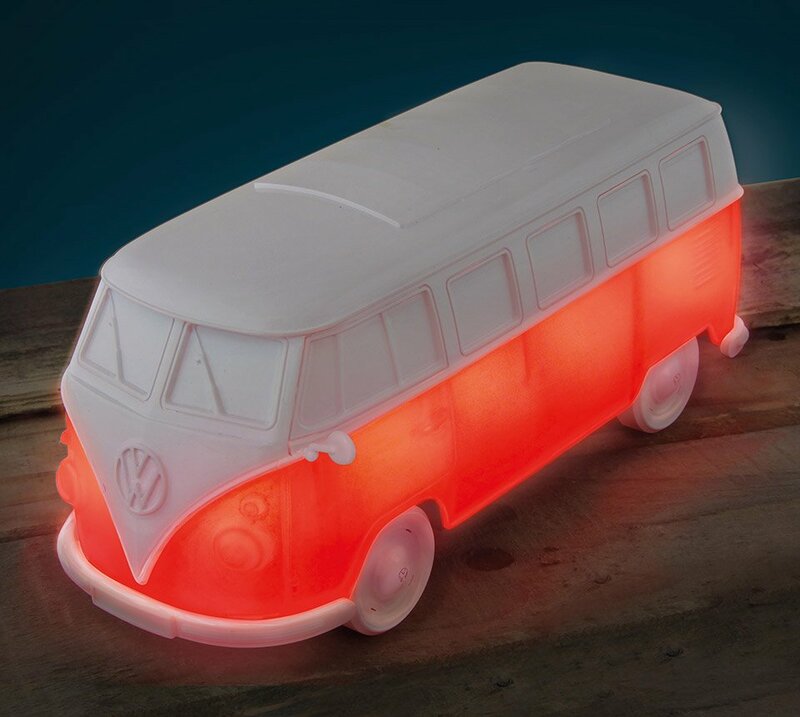 An officially-licensed scale model of the classic Volkswagen Type 2 Bus that doubles as an accent light. 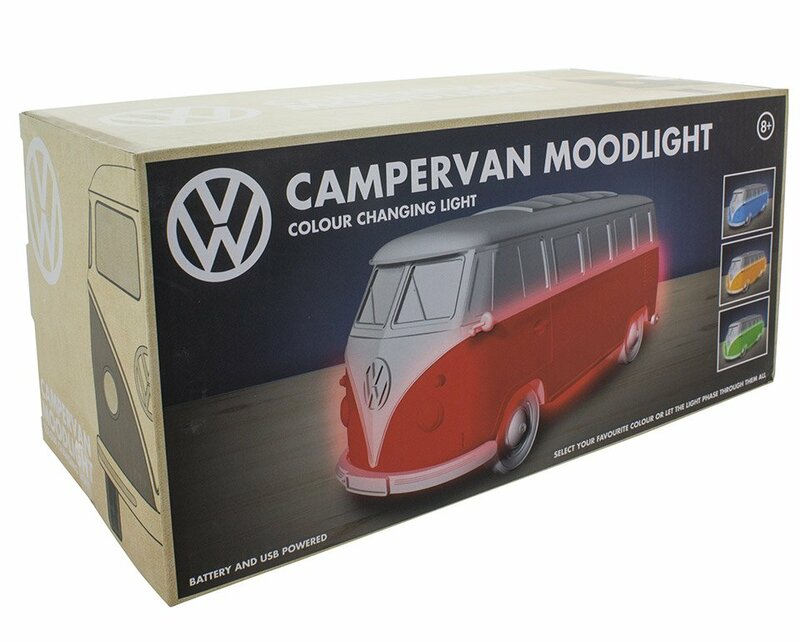 Its got color-changing LEDs inside, and is powered by AA batteries or via a USB cable. Measures appx. 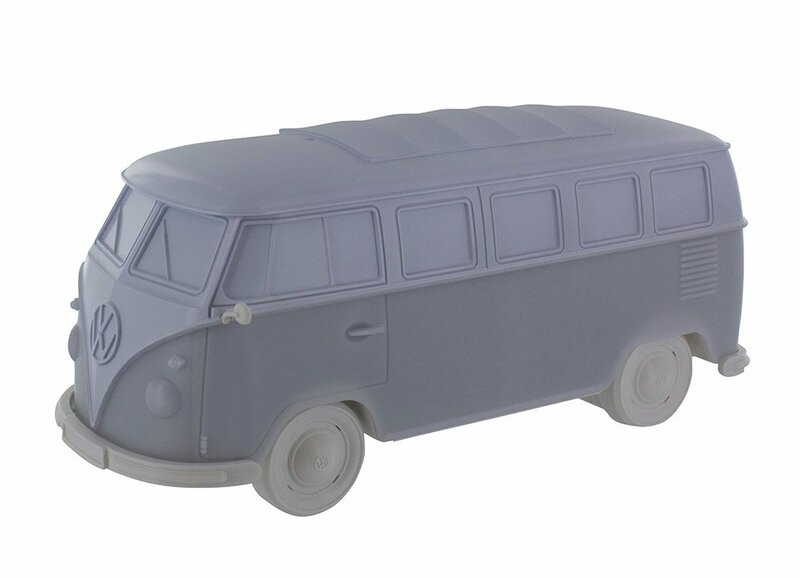 9.8″ x 5.9″ x 5.1″.